This Sunday it’s blurred realty week with two films that blur the lines between fiction and documentary. 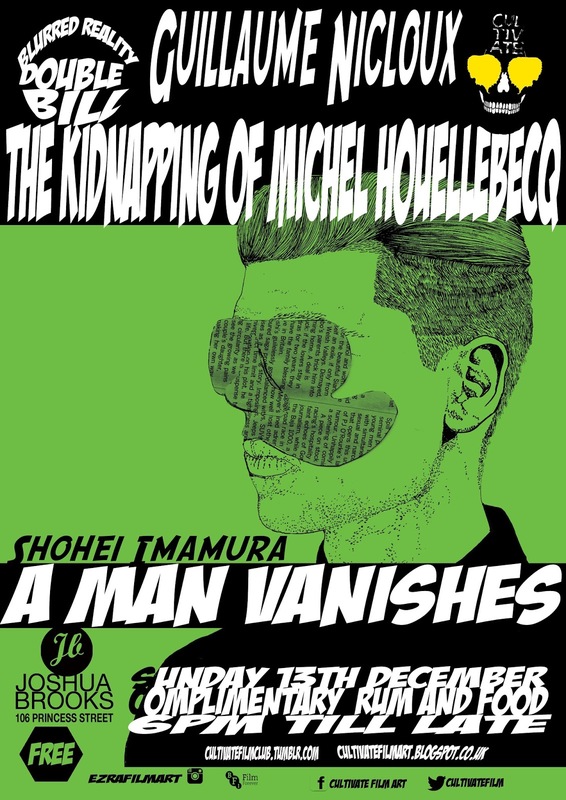 First up is THE KIDNAPPING OF MICHEL HOUELLEBECQ the almost true story of the abduction of Michel Houellebecq, partly based on real events married with the fictional events created by Michel himself this black comedy reveals what really happened when the cameras where switched off or does it. 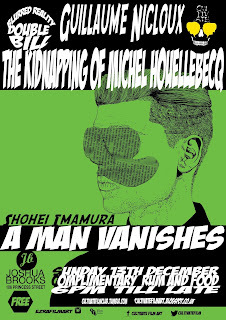 A MAN VANISHES will be screened next Sunday with CRUEL STORY OF YOUTH.